There's nothing like the quality of genuine Chrysler parts! Especially when it comes to Brake Parts! don't settle for anything but the original quality of genuine Chrysler parts! There's nothing like the quality and reliability of Genuine Chrysler parts. Don't settle for anything less! MP-52122182AB 2009 Dodge Ram 1500 Mega/2500/3500 2 & 4 WD R/L same $ 129.95 ea. MP-52009968AC 2002-2010 Dodge Ram 1500 (exc. 2004-2006 SRT-10) R/L same $ 94.95 ea. MP-5290345AB 2004-2006 1500 Dodge Ram SRT-10 R/L same $ 94.95 ea. MP-52010144AA 2003-2008 Dodge Ram 1500 Mega/2500/3500 R/L same $ 179.95 ea. MP-52122184AA 2009 Dodge Ram 1500 Mega/2500/3500 R/L same $ 119.95 ea. MP-68030387AA 2002-05 Dodge 1500 Pickup 2 WD 4 Wheel ABS R/L same $ 224.95 ea. MP-52070321AC 2006-07 Dodge 1500 Pickup 2 WD 4 Wheel ABS R/L same $ 174.95 ea. MP-68088025AA 2008 Dodge 1500 Pickup 2 WD 4 Wheel ABS R/L same $ 224.95 ea. MP-68088025AA 2002-07 Dodge 1500 Pickup 2 WD Rear Wheel ABS R/L same $ 224.95 ea. MP-52070321AC 2008 Dodge 1500 Pickup 2 WD Rear Wheel ABS R/L same $ 174.95 ea. MP-52010206AB 2003-04 Dodge 2500/3500 Pickup 2 WD R/L same $ 324.95 ea. MP-68030387AA 2002 Dodge 1500 Pickup 4 WD 4 Wheel ABS R/L same $ 224.95 ea. MP-68030387AA 2003-05 Dodge 1500 Pickup 4 WD 4 Wheel ABS R/L same $ 224.95 ea. MP-52070321AC 2002 Dodge 1500 Pickup 4 WD Rear Wheel ABS R/L same $ 174.95 ea. MP-52070321AC 2003-05 Dodge 1500 Pickup 4 WD Rear Wheel ABS R/L same $ 174.95 ea. MP-68088025AA 2006-07 Dodge 1500 Pickup 4 WD 4 Wheel ABS R/L same $ 224.95 ea. MP-68088025AA 2008 Dodge 1500 Pickup 4 WD 4 Wheel ABS R/L same $ 224.95 ea. MP-52070321AC 2006-07 Dodge 1500 Pickup 4 WD Rear Wheel ABS R/L same $ 174.95 ea. MP-52070321AC 2008 Dodge 1500 Pickup 4 WD Rear Wheel ABS R/L same $ 174.95 ea. MP-5015282AA 2003-04 Dodge 2500/3500 Pickup 4 WD R/L same $ 324.95 ea. MP-5134582AC 2002-03 Dodge 1500 Pickup 2 WD Right $ 129.95 ea. MP-5134583AC 2002-03 Dodge 1500 Pickup 2 WD Left $ 184.95 ea. MP-5143398AA 2005 Dodge 1500 Pickup 2 WD SRT-10 Model Right $ 1294.95 ea. MP-5143407AA 2005 Dodge 1500 Pickup 2 WD SRT-10 Model Left $ 1294.95 ea. MP-5134582AC 2004-05 Dodge 1500 Pickup 2 WD Laramie/SLT/ST/WS Model Right $ 129.95 ea. MP-5134583AC 2004-05 Dodge 1500 Pickup 2 WD Laramie/SLT/ST/WS Model Left $ 184.95 ea. MP-5143398AA 2006 Dodge 1500 Pickup 2 WD SRT-10 Model Right $ 469.95 ea. MP-5143407AA 2006 Dodge 1500 Pickup 2 WD SRT-10 Model Left $ 469.95 ea. MP-68037144AA 2006 Dodge 1500 Pickup 2 WD Laramie/SLT/Sport Model Right $ 109.95 ea. MP-68037147AA 2006 Dodge 1500 Pickup 2 WD Laramie/SLT/Sport Model Left $ 109.95 ea. MP-68037144AA 2006 Dodge 1500 Pickup 2 WD ST/TRX4 Off Road Model Right $ 109.95 ea. MP-68037147AA 2006 Dodge 1500 Pickup 2 WD ST/TRX4 Off Road Model Left $ 109.95 ea. MP-68037144AA 2006 Dodge 1500 Pickup 2 WD WS Model Right $ 109.95 ea. MP-68037147AA 2006 Dodge 1500 Pickup 2 WD WS Model Left $ 109.95 ea. MP-5143348AD 2007-08 Dodge 1500 Pickup 2 WD Right $ 109.95 ea. MP-5143358AD 2007-08 Dodge 1500 Pickup 2 WD Left $ 109.95 ea. MP-5093266AA 2003-04 Dodge 2500/3500 Pickup 2 WD Right $ 189.95 ea. MP-5093269AA 2003-04 Dodge 2500/3500 Pickup 2 WD Left $ 189.95 ea. MP-5134582AC 2002-05 Dodge 1500 Pickup 4 WD Right $ 129.95 ea. MP-5134583AC 2002-05 Dodge 1500 Pickup 4 WD Left $ 184.95 ea. MP-68037144AA 2006 Dodge 1500 Pickup 4 WD Right $ 109.95 ea. MP-68037147AA 2006 Dodge 1500 Pickup 4 WD Left $ 109.95 ea. MP-5143348AD 2007-08 Dodge 1500 Pickup 4 WD Right $ 109.95 ea. MP-5143358AD 2007-08 Dodge 1500 Pickup 4 WD Left $ 109.95 ea. MP-5093266AA 2003-04 Dodge 2500/3500 Pickup 4 WD R/L same $ 189.95 ea. MP-6036659AA 2002-08 Dodge 1500 Pickup 2/4 WD R/L same $ 6.95 ea. 2/4 WD R/L same $ 11.95 ea. MP-5080557AC 2002-03 Dodge 1500 Pickup 2 WD R/L same $ 74.95 ea. MP-5080557AC 2004-05 Dodge 1500 Pickup 2 WD R/L same $ 74.95 ea. MP-5143351AB 2006-08 Dodge 1500 Pickup 2 WD R/L same $ 43.95 ea. 2 WD Right $ 46.95 ea. 2 WD Left $ 46.95 ea. MP-5080557AC 2002-05 Dodge 1500 Pickup 4 WD Right $ 74.95 ea. MP-5080557AC 2002-05 Dodge 1500 Pickup 4 WD Left $ 74.95 ea. MP-5143351AB 2006-08 Dodge 1500 Pickup 4 WD R/L same $ 43.95 ea. Brake & rotor replacement made easy! 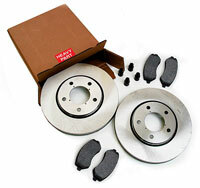 Kit includes ceramic rear brake pad set, two rear rotors, complete hardware kit and rear emergency brake shoe kit. Brake & rotor replacement made easy! 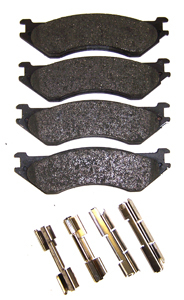 Kit includes rear brake pad set, two rear rotors, complete hardware kit and rear emergency brake shoe kit. 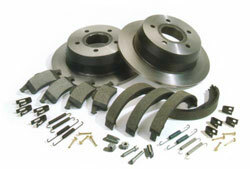 Kit includes two front rotors, front hardware kit & value line front brake pads. 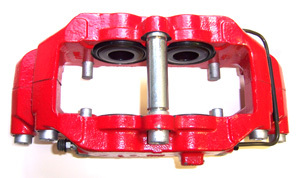 This diesel exhaust brake has an electronically controlled valve is placed in the exhaust system. 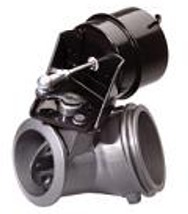 For Cummins Turbo Diesel engines with manual. 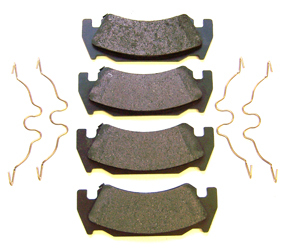 Brake helps save on brake pad and rotor life for up to three times. 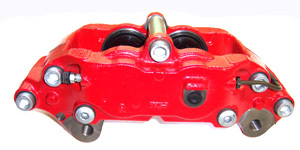 MP-82209823 Diesel Exhaust Brake $ 1,579.95 ea. There's nothing like the quality of genuine Chrysler parts! Especially when it comes to suspension parts! 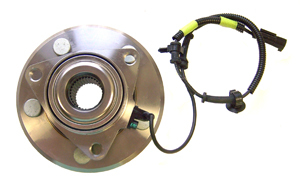 MP-52010080AB A1 Brake Rotor - 2002-2003 Dodge Ram 1500 2WD R/L same $ 94.95 ea. MP-52121050AA A1 Brake Rotor - 2002-2003 Dodge Ram 2500/3500 2WD R/L same $ 104.95 ea. MP-55366036AB A1 Brake Rotor - 2004-2005 Dodge Ram 1500 2WD 4 Wheel ABS R/L same $ 204.95 ea. 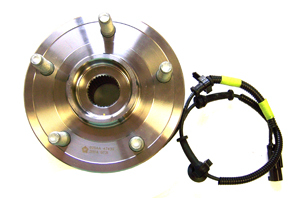 MP-52010080AB A1 Brake Rotor - 2004-2005 Dodge Ram 1500 2WD Rear Wheel ABS R/L same $ 94.95 ea. 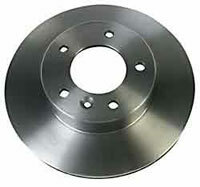 MP-52121050AA A1 Brake Rotor - 2004 Dodge Ram 2500/3500 2WD R/L same $ 104.95 ea. MP-55366036AB A1 Brake Rotor - 2006 Dodge Ram 1500 SRT-10 R/L same $ 204.95 ea. MP-52010080AB A1 Brake Rotor - 2006-2008 Dodge Ram 1500 R/L same $ 94.95 ea.